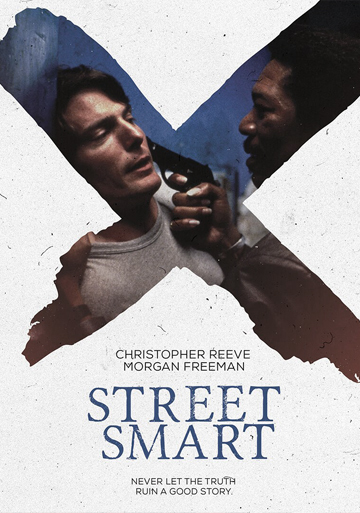 STREET SMART : A New York magazine reporter on the verge of losing his job, Jonathan Fisher (Christopher Reeve, Superman) fabricates a story about prostitution that reignites his career and brings unwanted attention to a powerful pimp, Fast Black (Morgan Freeman, Million Dollar Baby). The police, believing the story is true, feel they are closer to putting the notorious pimp behind bars. As pressure mounts for Fisher to reveal the identity of the lead in his story, he’s unaware that Fast Black has plans of his own for the writer who’s jeopardized his business in the gritty, urban drama Street Smart. 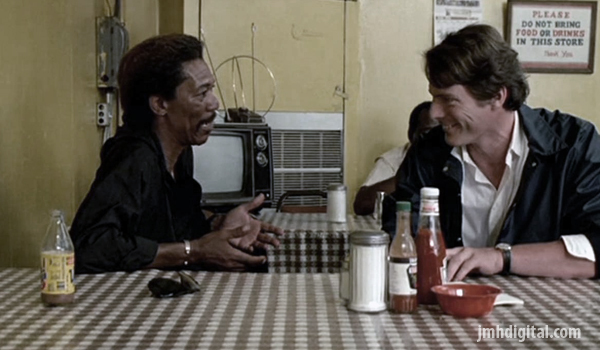 Street Smart, directed by Jerry Schatzberg (Scarecrow, The Panic In Needle Park), from a screenplay by David Freeman, co-stars Kathy Baker (Clean and Sober, The Glass House), Mimi Rogers (The Rapture, Someone To Watch Over Me), Andre Gregory (My Dinner With Andre, The Last Temptation of Christ), Rick Aviles (Carlito’s Way, Ghost) and Jay Patterson (A Million Ways To Die In The West, City of Angels). CRIMINAL LAW : Ben Chase (Gary Oldman, The Dark Knight) is an on-the-rise Boston attorney currently defending a wealthy client in a high profile murder case. 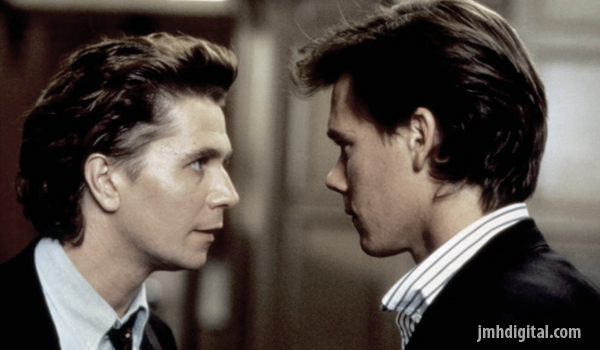 Martin Thiel (Kevin Bacon, Footloose) is the wealthy young man on trial for a particularly brutal murder. The verdict sets Thiel free. Within 24 hours another grizzly and all-too-familiar murder has taken place with striking similarities to the first crime. As suspicions mount, Thiel contacts Chase to once again defend him. Realizing his culpability in having allowed Thiel to walk free after the first trial, Chase inexplicably agrees to act as his defense attorney; but this time it will be to gather evidence that will put away his client for good. But who’s manipulating who in this edge-of-your-seat thrill ride? 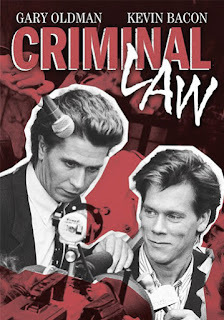 Criminal Law co-stars Tess Harper (Tender Mercies), Karen Young (9 1/2 Weeks) and Joe Don Baker (Walking Tall) in a film directed by Martin Campbell (Casino Royale, GoldenEye) from a screenplay written by Mark Kasdan.